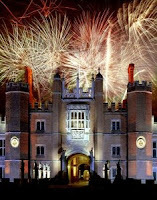 Operatic tenor Alfie Boe is joining the cast of Les Miserables on 23rd June playing the lead role of Jean Valjean, but before he opens in the West End Boe will be performing the Finale of the Hampton Court Palace Festival on Saturday 18th June at 7:30 pm. He will be leading the festivities and will be joined by soprano Natasha Marsh and the Royal Philharmonic Concert Orchestra conducted by Richard Balcombe. The evening will conclude with stunning fireworks over the long water.